Gemstone Therapy. Gemstones have been used by ancient civilizations for thousands of years due to their dynamic energy properties. Even today, we are still able to wear the beautiful and therapeutic bracelets thanks to Mother Nature. We have different kinds of gemstones structured to resonate with the physical, mental, spiritual or emotional condition and help create the mood and fill you with positive energy. Each stone has a story to tell and an enriching energy to generate in the lives of those who use it. A therapeutic gemstone bracelet around your wrist is one of the most potent ways to radiate energies deep into your entire body and aura helping to uplift and nourish all aspects of your being. Wearing crystal jewelry is an easy and convenient way to carry stones of significant value while making a fashion statement. Gemstone Therapy. Crystals or semi-precious stones used for healing properties have a unique internal structure that promotes healing by stimulating the body’s natural healing mechanisms. The logic behind gemstone therapy is that the stones can communicate with the human body’s energy flow and help to realign the energy channels that interrupt the natural flow of the body helping it to heal itself. When choosing among dozens of healing bracelets, it’s important to discover which gemstones works perfectly with your inner energies to help you navigate through your personal health challenges. It is, therefore, worth knowing the specific gemstones that are related to your birth chart and how they can be made to work for you. Proper selection of quality gemstones, shaping, color and use of gemstones transform them into therapeutic power tools. Gemstone Therapy. Healing bracelets that are made using multiple kinds of stones are not ideal for healing as their different energies could cancel out each other hence most contain one stone e.g. 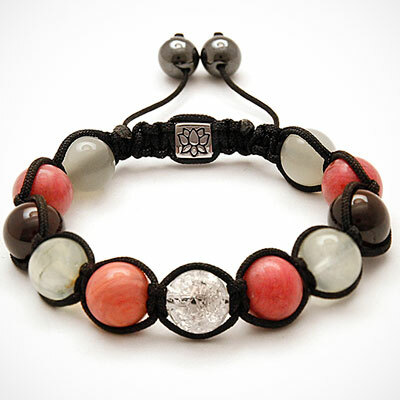 a bracelet of tourmaline, jade, rose quartz or aquamarine. If you wish to wear jewelry containing multiple varieties of stone for healing, wear it in separate jewelry pieces that are not in contact with each other. When transparent or colorless stones are combined with a healing stone, they help to amplify the healing effects of the other stone. 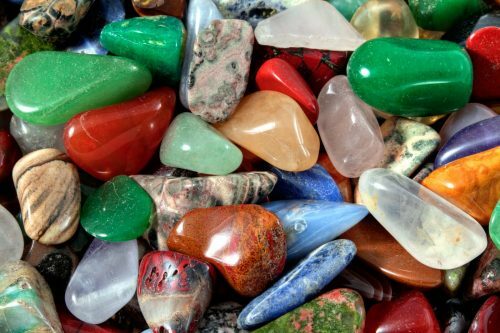 Always remember when using gemstones that the chakra healing activation is only as strong as the intent to heal. Crystals should be cleansed after use by running them under cool water or on a large quartz cluster to cleanse and recharge. Besides healing, wearing an energy bracelet enables you to influence your energy fields in ways you choose intentionally. Whether it’s maintaining balance, focus, centeredness, mental clarity or finding peace and happiness, the gemstones in the bracelets resonate to the frequencies within our body helping us to attain our desired temperaments. The use of crystals with Reiki energy in your environment brings more beauty and positivity as they charge the area (including your body if worn) and release suppressed traumas and connect an individual with their source of truth and power. Gemstone Therapy. Browse through our fine selection of high-quality semi-precious stones to make your order. The bracelets are handcrafted on strong silk cords to give the durable feel of a long-lasting bracelet. They lie beautifully on your wrist and are available in a variety of sizes perfect for everyone. Contact us for more information about how therapeutic gemstones work and what makes them such powerful healing tools. Do you have this bracelet? I would like very much to buy it, but I can nt found it on the list…. Hi Naomi, thanks for sharing this very useful information about these healing bracelets. I am looking for this as I want to buy some for my family and friends, most especially to my best friend who is very depressed at the moment. She needs this crystal healing therapy. Have a great day!